Paramount Home Media Distribution and Samuel Goldwyn Films announced today a collaboration to bring Rudderless to theatrical and home viewing audiences. The feature directorial debut of Academy Award and Golden Globe nominee William H. Macy, Rudderless was produced by Keith Kjarval (Unified Pictures) and Brad Greiner in association with Aaron L. Gilbert's Bron Studios and had its world premiere as the Closing Night Film at the 2014 Sundance Film Festival. The film stars Billy Crudup (Almost Famous), Anton Yelchin (Star Trek Into Darkness), Felicity Huffman (Desperate Housewives), Jamie Chung (Believe), Selena Gomez (Spring Breakers) and Laurence Fishburne (The Matrix). Samuel Goldwyn Films will handle U.S. theatrical distribution day-and-date with Paramount Home Media Distribution's VOD release. Paramount will also handle other U.S. ancillary platforms and all distribution in Canada, the UK, Russia and certain territories in Asia. After a man has his life torn apart when he loses his son, he is content wasting the rest of his days until he discovers a box of unpublished music. Coming from such an unexpected source, the music is a revelation. He begins obsessively learning the songs, until one day he decides to play one of them at a local bar. The song captivates a young musician in the audience and the two unlikely friends decide to form a local band that gains sudden popularity and changes both of their lives. Here's what William H. Macy had to say about teaming up with Paramount for his directorial debut. "After seeing such a fabulous response at Sundance, we are thrilled to be partnering with two of the most prestigious distributors in our business on my directing debut. When I first moved to LA, many years ago, I lived just off of Melrose, and I passed those beautiful gates to Paramount almost every day. Seeing them become our partner on Rudderless and adding the storied Goldwyn Company into the mix excites me to no end." Peter Goldwyn, Senior Vice President, Samuel Goldwyn Films, had this to say in his statement. "William H. Macy has always been a true talent in front of the cameras and now also proves to be a major force behind the scenes. Billy Crudup, Felicity Huffman and the rest of the cast deliver stellar performances. We are excited to again partner with Paramount Home Media Distribution in bringing Macy's remarkable first feature to theaters." Syrinthia Studer, Senior Vice President, Marketing and Acquisitions, Paramount Home Media Distribution, had this to say in her statement. 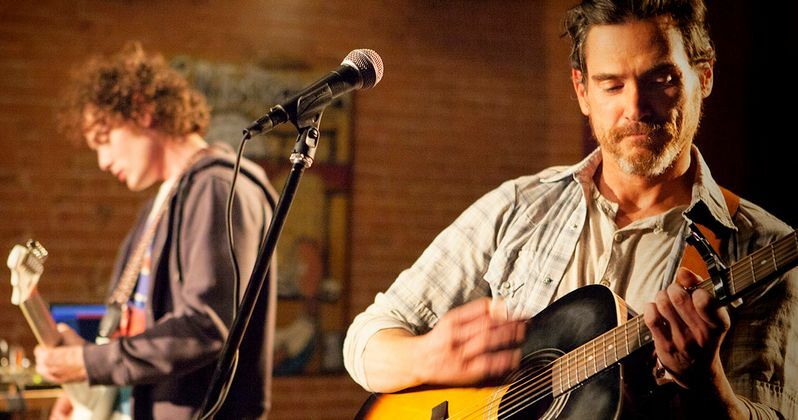 "Rudderless is an incredibly powerful and moving film and we are extremely excited to bring it to audiences around the world. William H. Macy has delivered a terrific first feature with extraordinary performances by his stellar cast, a compelling story and wonderful original music. We feel confident that it will be embraced by audiences both in the U.S. and internationally." The deal was negotiated by Paramount Home Media Distribution, WME Global and Peter Goldwyn, Senior Vice President of Samuel Goldwyn Films, with Radiant Films handling international.